Officials at the Visitors Bureau in Yuma, Arizona, still talk about the best-dressed angler to ever fish Martinez Lake. He wore a gray pin-striped suit and designer necktie while he cast lures for bass. I plead guilty. A business trip that concluded early resulted in a leisurely pass by that large lake on the Arizona side of the Colorado River. It was too much to resist. No boat? No angling attire? No matter! I fished. Birds and birders are also attracted to this lake. Martinez attracts casually dressed anglers, too, to say nothing of waterfowl and wildlife traveling down river from the southern boundary of the Imperial National Wildlife Refuge. 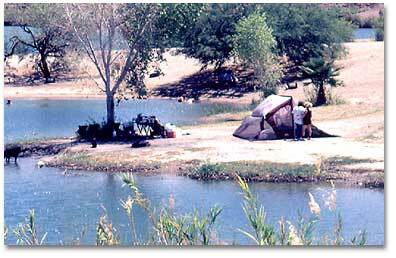 The outdoor haven immediately north of Martinez Lake encompasses 15,000 acres and fronts both banks of the Colorado River for 30 miles. The refuge is a stopover for migratory birds; more than 200 species have been logged by avid birders over the years. There are two seasons in this lowest reach of the Lower Colorado River: the high-water period, from spring through Thanksgiving, and the low-water period, from autumn to spring. 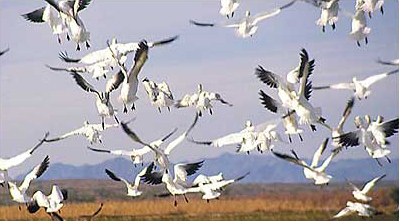 Spring's birding opportunities draw winter visitors reluctant to return home to colder climes and anglers from both Arizona and California anxious to get back in their boats and start a new season. Expect constant traffic on the lake road. Officially, Martinez Lake encompasses 300 to 500 acres, but it’s hard to tell where the river ends and the lake begins. The resort started as a fishing camp nearly 50 years ago and is now a year-round attraction catering to sightseers, snowbirds, anglers, hunters, boaters, water skiers, rock hounds and nature lovers. There are few places where tourists can spend their day traveling river waters while viewing natural desert wonders; this is one of them. River tours and paddle boat adventures get underway a short distance from the lake, with both launching at Fisher’s Landing. The lake itself is a watery oasis in the desert sand, and there are other, smaller lakes such as Hidden Shores, Ice Box and Bullet Hole close by. Summertime boat traffic can be vexing because of the site’s popularity with residents on either side of the river. Waters are patrolled by both Arizona and California Game and Fish, the California Safety Patrol and the Yuma County Sheriff’s Office. Bass fishing can be worth the effort of detouring around other watercraft because huge bass of several varieties live here, co-existing with even larger whiskerfish. Largemouth bass weighing in the teens have been recorded as have striped bass over 30 pounds and flathead catfish in excess of 75 pounds. 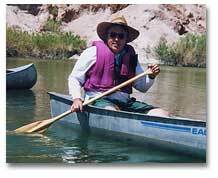 Greg Hines of Mesa grew up in nearby Parker and fished these waters as a kid. As a grownup, he makes his living as a professional bass angler. He still has good memories of fishing on Martinez Lake. "This place is a blast," he says. "It’s spinner bait utopia and a flippin’ heaven with all the available backwaters." Almost any part of the lake, from river mouth to shallow sloughs, contains what marine biologists would refer to, scientifically, as "fishy stuff." The dean of Arizona’s outdoor writers, Bob Hirsch, calls the structure in the lake "a bass fisherman’s dream." There are jetties and docks where fish can hide. There’s a weedy shoreline with lots of tule cover. There are vast, flooded flats filled with brush and shallows that contain a forest of tree branches and stumps filled with collections of fishermen’s favorite lures. "You can come around a corner of the lake and run into the Colorado River," says Ken Goodwin, a guide who has fished the waters for 40 years. "It hasn’t changed much in four decades. It’s silted in a bit and the sand moves around enough to require some dredging, but it’s still a quiet body of water surrounded by tules and wildlife." At 200 feet elevation, warm temperatures and river humidity combine to produce the area’s most common summertime denominator: sweat. There are two ways to get there, both via US Hwy 95. From Interstate 10 up north, it’s a good 50 miles down to the lake turnoff at Mileposts 46/47. From Yuma and Interstate 8, it’s 20+ miles to the turnoff at Martinez Road. After 10 miles, the road forks with the launch ramp, boat dock and restaurant to the right and Fisher’s Landing to the leftboth about a mile from the fork. There are hotels and motels in Yuma, with something for every taste and price range. For more information and a complete list click here for rates, availability and reservations online.